Email us a writeup of your Mango Lanseria to Cape Town flight and we will give you a travel voucher to use to discount the cost of your next one! Ask an Agent! We're itching to find you the best flight deal. Mango Airlines offers regular flights to Cape Town from Johannesburg's Lanseria Airport. The flights are scheduled to take 2 hours and 15 minutes to cover the 1265km from Lanseria Airport to Cape Town International Airport. Also see our Mango OR Tambo to Cape Town page, for flights from OR Tambo International Airport. 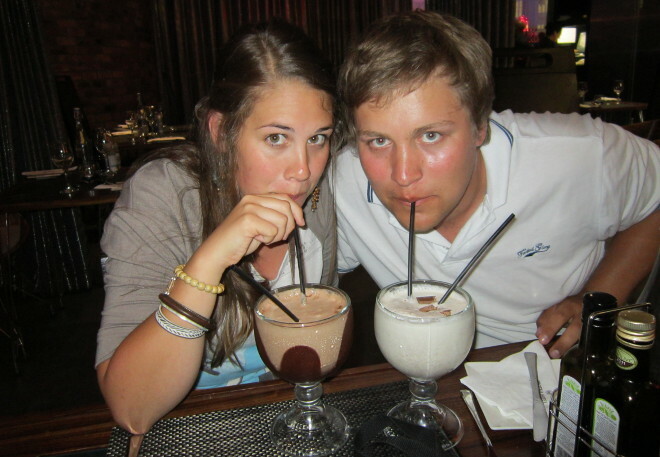 Views expressed in these reviews are not necessarily the same as those of South Africa Travel Online. 2011-06-03. 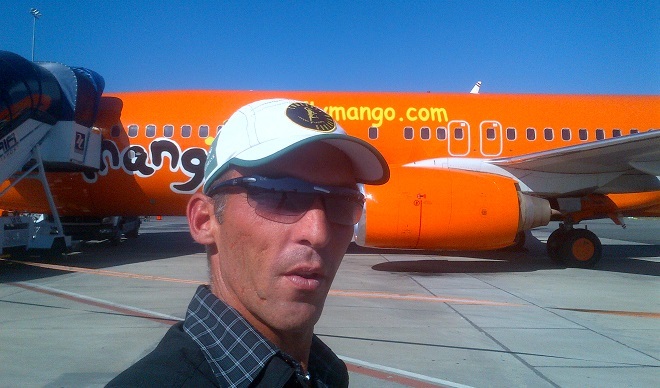 4/5 : Mango only started flying from Lanseria on 1 June, so I was one of the first to try out their new services. The best part of it was that I only paid R320.50 for the flight, as there was a Mango 5-seat sale on the go (the young lady from SAAF next to me was pleased with the R450 she'd paid!). The check-in queue for Mango at Lanseria Airport was short, but you do actually have to check-in with a person - they don't yet have the automated check-in machines like at Cape Town International Airport. I was quite impressed that you can choose your seats on a Mango flight at the point of reservation. I paid R20 extra to get the seat behind the wing and next to the window, so that I could take better photos from the aircraft (the first 2 rows and the rows next to the wings were all booked up, presumably for Mango Flex and Mango Plus ticket-holders). By contrast, on my Kulula Cape Town - Lanseria flight, they didn't charge for choosing your seats, but you could only choose seats 24 hours before the flight. I did duff up with the window seat though, as it turned out that it was too dark to take photographs...aisle seat is a better bet on the 17h50 flight down from Lanseria to Cape Town. Finally, I cant give an honest review without saying, Mango, I love you, and I love your prices, and I love your marketing, but your seats are just too close together for a guy my size to be comfortable. See Mango terms and conditions. For special requirement information, click here (link removed as it stopped working). A SMS with your booking details will follow shortly. On the left we have the commercial side of Kulula with its Europcar-branded plane, on the right we have a wannabe Kulula plane, without comics or branding or interesting items, if there's consistency on the inside then jokes would have been banned! 6 Jul 2013. Mango increases its Lanseria - Cape Town flights from 2 to 3 flights a day from Sundays to Fridays, and reduces its Saturday flights from 3 to 2 a day. If I had to get stuck at an airport like Tom Hanks in The Terminal, in South Africa I'd choose Lanseria Airport. Its Wiesenhof restaurant (partially owned by Kobus Wiese) has fantastic unimpeded views of the runway (a photographer's delight), TV screens to watch the Super Rugby and a couple of powerpoints to charge up your equipment. 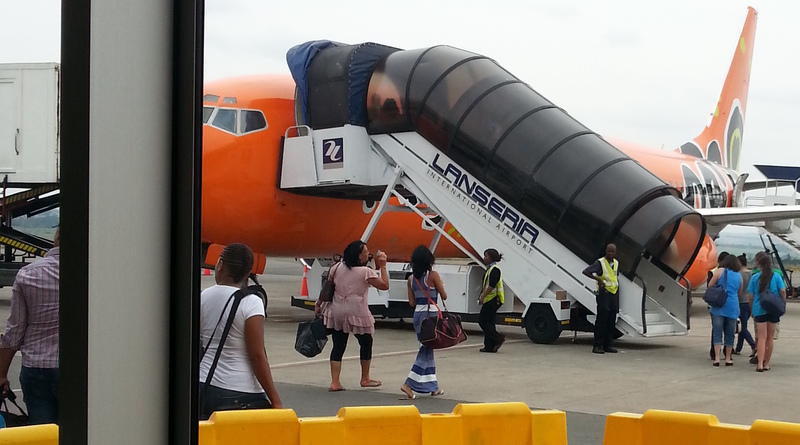 There are no business class lounges at the departures at Lanseria, so everybody is treated equally - a good feeling.